Dutch rider Mathieu van der Poel has taken the victory at the European Championships of cyclocross. This is the second European title in a row for the rider. World Champion Wout Van Aert took an early lead in the competition and Van der Poel and his fellow countryman Lars van der Haar stayed close to him. The Dutch national champion overtook Van Aert during the third lap of the race and maintained a good gap throughout the rest of the competition, even having the time to high five some fans as he approached the finish line. 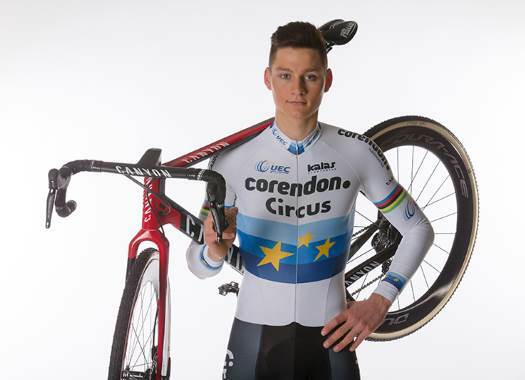 Despite him finishing at the 21st position at the last competition at the Koppenberg, Van der Poel showed his talents again in the European championships. "I am very happy that I can wear this jersey again," said the pleased Dutchman at the end of the race. "I didn't panic after the Koppenberg. "I've had an off-day before and did well again in the next race, so I never doubted myself. I stayed calm after that day, I took a long rest ahead of the Championships and I did it. I kept to my plan and the feeling was good again today. Of course, I think that this track is very good for me." Van der Poel was happy to take the title in front of his home crowd, in the Dutch city of Rosmalen. "I'm glad that I will have another year with this jersey because I still have a few more in the closet," he joked. "No, it's just nice to take a title and do it in front of your own people. "There was a lot of public here and that makes it a nice race. It is also very nice that we have taken the title in nearly every category. The Netherlands is doing well."